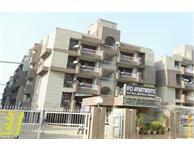 Looking for a property in Dwarka? 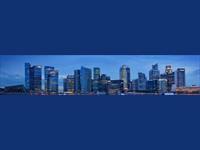 Have a property in Dwarka? Dwarka is a modern city in Delhi and is located in the district of South West Delhi. All Facilities like-Metro, Hospital, Park, School, College, Market..
Dwarka is the new developing growing area in L Zone developing pollution free city. It's totally smart concept, smart city for everyone. This is the right time for investors & Buyers. Society is better than Developers & Builders. Upcoming Farmhouse locality on 150 meter with all the basic amenities. Fun way parallel to Dwarka expressway near IGI Airport. Dwarka is a good location. There are lots of park over here. This place is having less Pollution, wide road congestion free & good greenery. Not much penetration therefore market are not well organised. Select and certain sectors are having bad smell issues. Dwarka, New Delhi is rated 7 out of 10 based on 4 user reviews. Have a good knowledge of Dwarka? Share it and become a Locality expert. Divya Apartments is among the most popular residential development in Dwarka, Sector 10, New Delhi.